Nikon Laser Range Finders give truly accurate range measurements at distances exceeding half-a-mile. 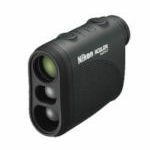 The Nikon Laser Range Finders "Laser 1200" is a compact rangefinder boasting lightning-fast measurements and accurate readings out to 1,200 yards. Try any of the many Nikon Laser Rangefinders seen here. Nikon Golf Rangefinders help you measure your distance to the flag stick. Most with first target ranging separate the ;in from the background. Some include incline compensation. 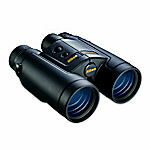 Nikon laser rangefinders are able to accurately read ranges of 550 - 1200 yards. 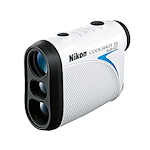 Offered in a choice of black or various camouflage coatings, all laser rangefinders are waterproof/fog proof and feature Nikon's bright Nikon's multi-coated optics. Nikon LaserForce Rangefinding Binoculars are currently available in 10x42 size, and can measure distances from 10 to 1900 yards. They also feature Incline/Decline Technology to compensate for distances that are not level.